As you may know, I’ve been an advocate for health and wellness for quite some time. I’ve always been a student and the nutrition topic has been my passion since I decided to change careers and become a Certified Health Coach. I graduated from Chemical Engineering in 2005 but soon after graduation, I realized that the engineering world wasn’t the world I belong to. So I decided to make a change. In 2005 I traveled to Montreal, and during those months I realized that for me it was very easy to gain weight. With the change in the diet and lifestyle during that time I gained over 25lb! I was very skinny when I got to Montreal. But I didn’t know anything about diet or exercise. I started taking interest in the field. So I decided to find out and I started to read every book and article about nutrition. I certainly didn’t want to be overweight and struggle with my weight all my life like my mom and her sisters. So I decided to learn about it and reverse that destiny, and in the process, I became in love with it. 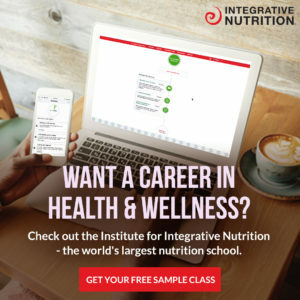 If you follow me on my social media channels (if not you can do it right now on Instagram and Facebook) you’ve seen that I recently enrolled in Integrative Nutrition School to become a certified Health Coach. This was a goals of mine for a very long time, and this year I finally made the commitment. I feel that I want to offer you so much help but I still have a lot to learn. I want to make a bigger impact in you and in the world and that’s why I decided to go back to school and keep learning. However, many of you may not know what a Health Coach is. Health coaching is a relatively new profession, but the idea behind it is really based in how we, as human beings, operate. As a health coach, I help you work with your unique body, and take into consideration how everything in your life affects your health and wellness. This word “metabolism” is everywhere these days, right?. You only know that if yours is too slow you might gain weight. But what exactly does this all mean? Twelve years ago life gave me a wake-up call so that I would change my lifestyle. I realized I have the “obesity genes” That tendency of gaining weight just by looking at a cake, lol. I gained 12 kilos (about 26 lb in 4 months). My genetics betrayed me and my insulin levels started to rise and the doctor told me that, if I stayed on the same path I could become diabetic. I did not want that! That moment I realized that I had to do something, of course, I didn’t know anything about nutrition or healthy eating (that wasn’t a family dinner topic at the time) So I had to figure it out and most importantly take action. I had to learn How to Turn the “Good” Genes On and the “Bad” Genes Off! And I’m happy to say now that I succeeded!! Nutrition Myths | Don’t fall into these myths! Nutrition has always been a topic of great interest and concern to a large percentage of the population. There is a variety of nutrition myths and misconceptions that are widely spread throughout the history. In many cases these issues are dealt with ignorance. Very often people want to group foods into good and bad; the ones that make you fat or thin; useful and harmful to cardiovascular health, etc. But nutrition is a complex science and any simplification is wrong. Nutrition as a science is relatively modern and is hidden in an apparent simplicity; however it is a complex matter that requires study and continuous updating.